Originally settled as early as 1810 and part of Franklin County, Colbert County was created by the Alabama Legislature on February 6, 1867. It was abolished by the constitutional convention on November 29, 1867, and re-established by the legislature on February 24, 1870. 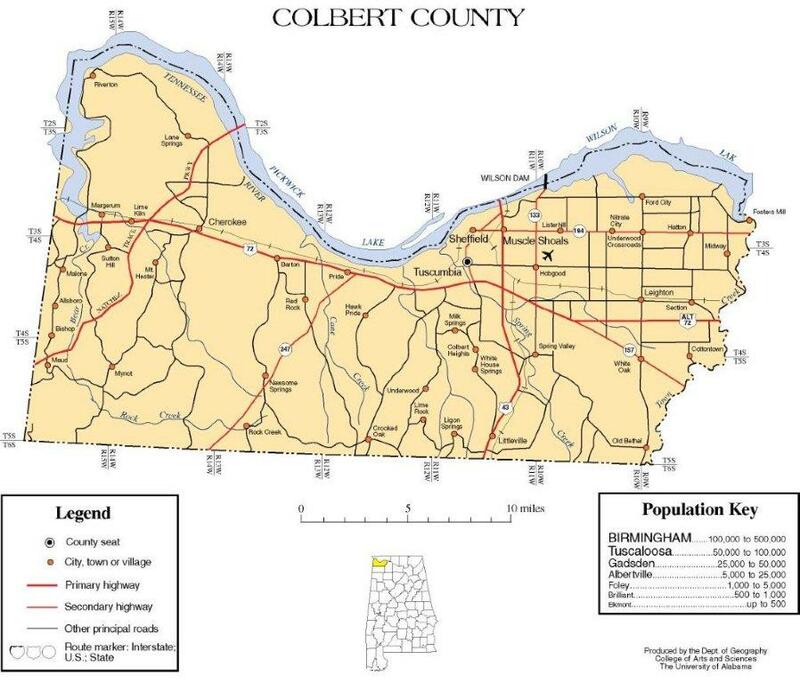 Colbert County is located in the northwestern part of the state. It encompasses 589 square miles. The county was named after George and Levi Colbert, noted Chickasaw chiefs who resided in the county. It is bordered by Lauderdale, Lawrence, and Franklin Counties, Mississippi, and the Tennessee River. An election in 1870 established the county seat at Tuscumbia. Colbert County was the birthplace of Helen Keller. We, the members of the Colbert County Sheriff's Office, believe that our fundamental duty is to serve and protect all citizens of Colbert County. We will do that with faith, truth, honor, integrity, dignity, fairness, respect, and compassion. We promote and utilize the most modern techniques available to us.